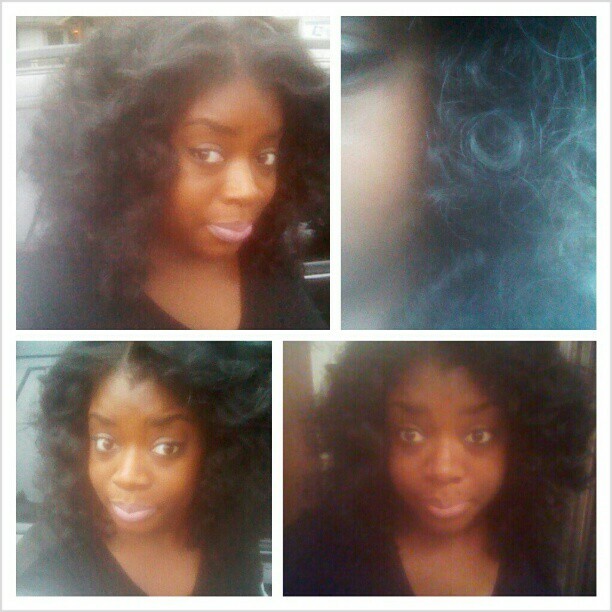 Last night I used small flexi rods (red and blue) on my hair to achieve spiral curls. Well, this morning I began to take the rods down and my curls were so tight. This was probably because I set the rods on “damp, not completely dry” hair. ‘Oh well’ I thought. As I stretched the curls, my hair got bigger and…wait, I actually like this. Ha! Solange and her recent big hair came to mind and I ‘fluffed’ away. The pictures do NO justice to how big and beautiful this hair turned out. I LOVE IT!!!! s/o to samegirldifferenthair.com (yup, same install I blogged about a few weeks ago).